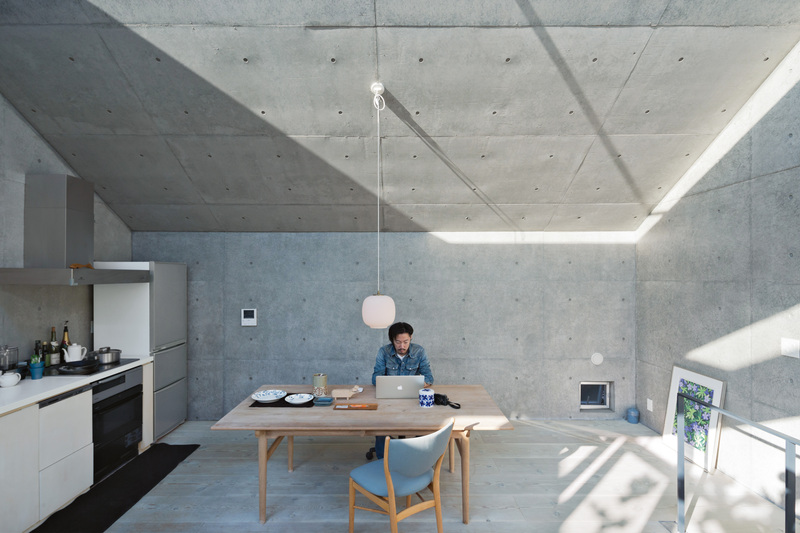 Like designers Christopher and Vivi Robertson in Houston, architect Koji Tsutsui also found inspiration in the concrete houses of Tadao Ando, his former mentor, when designing a home for a friend in Tokyo that resembles a series of concrete boxes. Built for a young family of Spartan-minded clients, architect Felix Oesch's spare concrete prefab outside of Zurich is a marvel of clean living. South African architect Gregory Katz found so much inspiration in the material that he built a trio of concrete homes, challenging the status quo in a quiet Johannesburg suburb. In Sea Ranch, a half-century-old enclave of rugged modernist houses on the Northern California coast, Cor-Ten steel and board-form concrete give the exterior of this new modern house a weathered look. In San Francisco, a young couple transformed an abandonded industrial complex into a family home—just in time to host their wedding party. An existing concrete box is now used as a dining pavilion.